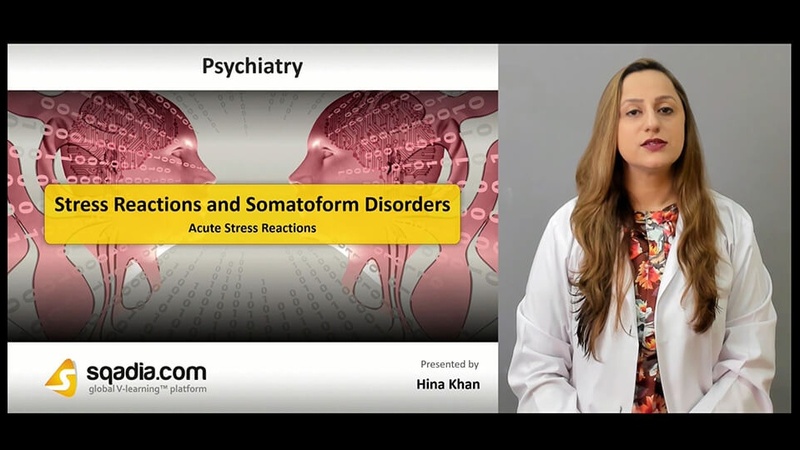 Stress reactions and somatoform disorders are the major objective of this V learning lecture. 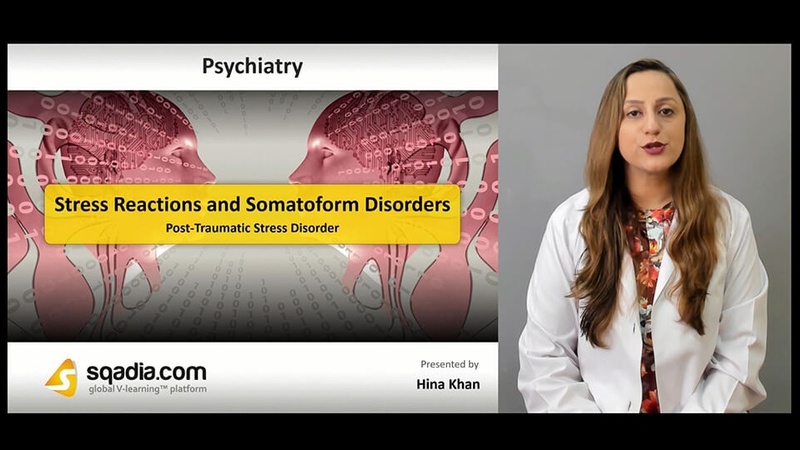 This sqadia.com medical video is an elaboration of acute stress reactions and post traumatic stress disorder. Additionally, certain adjustment and dissociative disorders have been explicated. 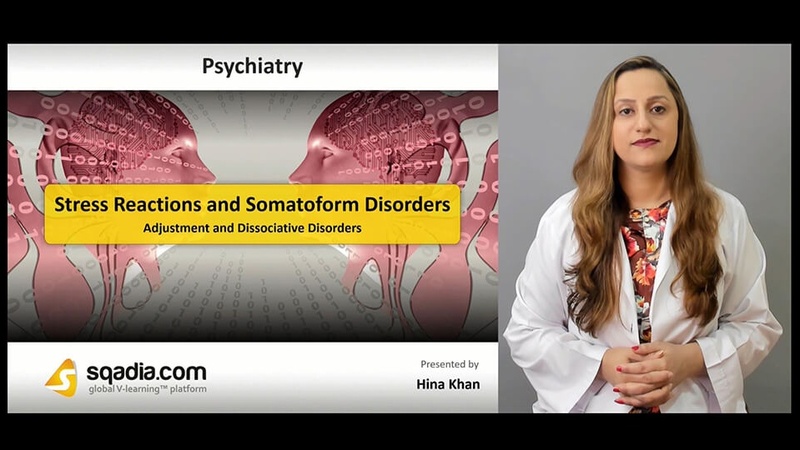 Moreover, somatoform disorders along with their management has been brought under discussion. In this section, acute stress reactions have been shed light upon. In the beginning, its definition and its symptoms have been discussed. Additionally, its management strategies have also been comprehensively explained. In the commencement of this section, post-traumatic stress disorder and its clinical features have been delineated. Moreover, its diagnosis and the factors to predict the development of PTSD has been explicated. Additionally, its management has been conversed about. Initially, adjustment disorders have been elaborated. Following this, its manifestations along with management has been explained. In addition to this, dissociative disorders and its types have been comprehensively elaborated. These include dissociative amnesia, fugue and stupor etc. In the end, prevalence, risk factors along with the management has been highlighted. In the beginning, definition of somatoform disorders has been put forth. Subsequently, somatization and hypochondriacal disorder has been expansively been expounded. Moreover, somatoform autonomic dysfunction and its symptoms have been mentioned. 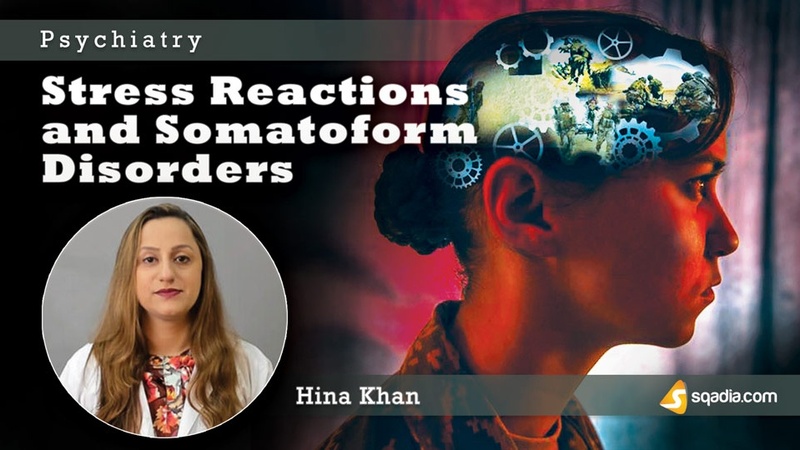 In the end, persistent somatoform pain disorder, its risk factors and management has been shed light upon.